Join us for our monthly Third Thursday speaker series! The March talk, on the theme Finding Your Way, features a panel of Algonquin College alumni. Hear about their career paths and get inspired to unlock your own career potential and enjoy the journey! Advance registration required. This event is open to Algonquin students, employees, alumni, and the public. Registration will open on February 28, 2019. After graduating from Hospitality Management, paving a career for nearly 10 years in the industry, and becoming a certified Tea Sommelier, Sheena decided to combine passion and purpose through entrepreneurship. Tease Tea was created to help its community be self-empowered through their tea choices, while also empowering women around the world. A portion of proceeds from every order supports organizations dedicated to the empowerment of women through Tease Tea’s Charitea Program. Ally is a professional writer and communicator who loves listening to and telling stories — whether around a bonfire, in a scrum outside of Question Period, or on the back of a bus in Guatemala (with a chicken on her lap). She has a bachelor’s degree in journalism from Carleton University, and a post-grad degree in advertising and marketing communications management from Algonquin College. Ally is currently working as a writer for McMillan, a global creative agency that specializes in branding and go-to-market campaigns. Hari is an alumnus of Algonquin College’s Diagnostic Medical Sonography Program. He arrived in Canada as an international student in 2017, and was recognized last year with Algonquin’s Class Representative Award. He now works as a Specialty Technologist at the Children’s Hospital of Eastern Ontario. 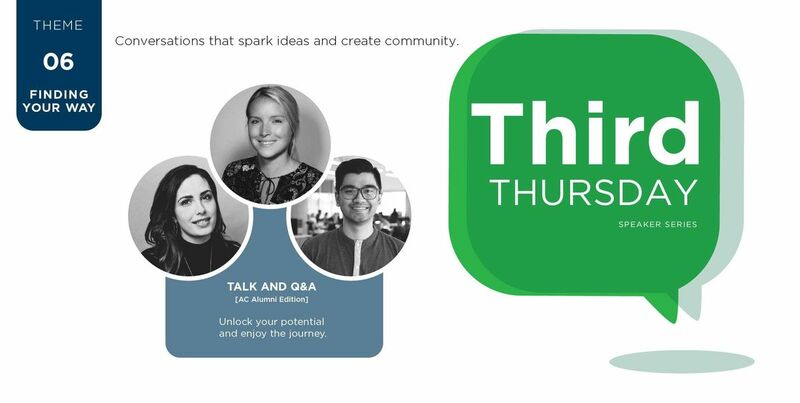 Third Thursdays are conversations that spark ideas and create community at Algonquin College. Every month, we bring in local experts and innovators to share stories that inspire and empower listeners. We transform spaces around campus into places where students, employees, alumni, and community partners can forge meaningful connections while learning from each other. The Third Thursday community is story-driven, curious, and collaborative. We’re not afraid of perspective shifts or pushing the envelope. 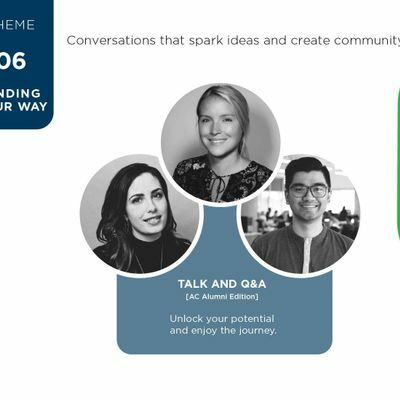 We skip the small talk and dig deep into topics that matter. We’re here to fuel dreams through dialogue and turn passion into purpose. Come and be part of the story. This talk is presented by the AC Hub, Mamidosewin Centre, Cooperative Education, Campus Services, Alumni and Friends Network, Centre for Innovation and Entrepreneurship, Library, Office of Applied Research and Innovation, and the Social Innovation Lab.